Most companies spend considerable time and money getting their branding just right. As they should. But branding isn’t just about printing business cards and making sure your uniforms match your letterheads. Every single piece of communication, from email auto-responders to billboards, needs to accurately convey the values and vision you’ve worked so hard to develop. What we’re talking about is “voice” – and why it can’t afford to be overlooked. Without a unique voice, your brand could sound as generic as this image looks. Your brand voice is what you say – and, to an extent, how you say it. It’s the language and personality that differentiates a Persian rug dealer from a crazy carpet salesman; it’s what makes clients and customers feel like they’re dealing with another person rather than a faceless corporate entity. It’s how you might address an email “Hi Sarah!” rather than “Dear Customer”. 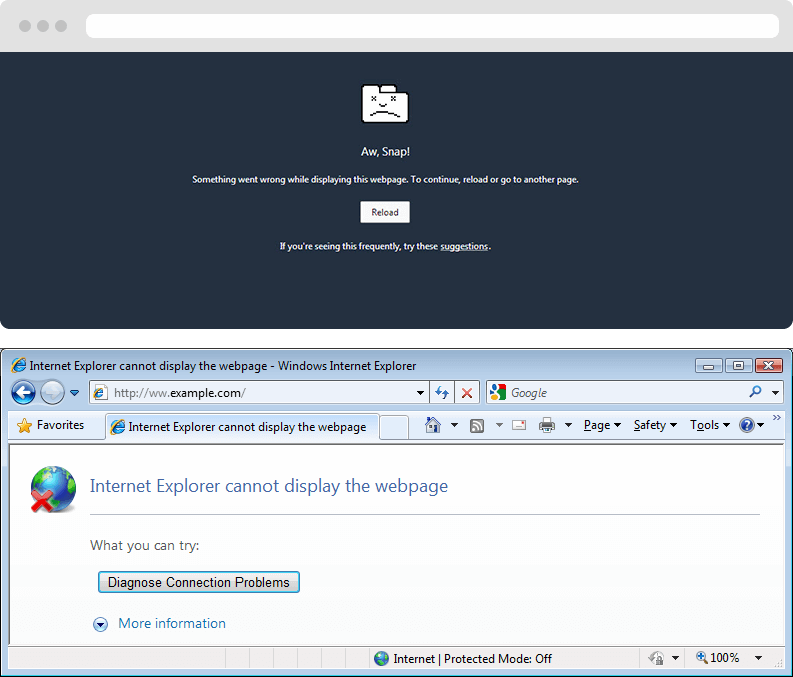 It’s the way Google’s Chrome browser says “Aw, Snap!”, while Microsoft’s Internet Explorer says it “cannot display the webpage”. A bad situation, but which browser comes across as friendlier? Without a voice, your brand is just a logo and some colours. To be recognised and remembered, the imagery needs some words to go with it. Could you pick three words that sum up what your business says to people, and how it says it? If you took your logo off your promotional material, would people be able to know which company it was? Can you describe what it is that makes your business unique? These are the keys to developing your brand’s voice. Creating a voice comes from understanding what makes your business tick. Understanding what makes your business tick comes from knowing your industry, and knowing your customer. 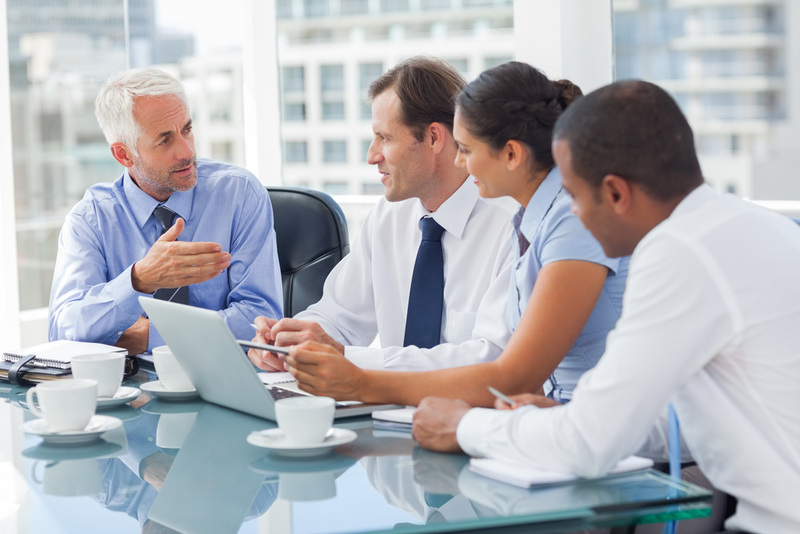 If you’re a B2B company, your language is going to be a little different to a B2C company. If you’re casual and easy-going in real life, you should communicate this in all your branded materials. Or if your company is all about professionalism and corporate appeal, then focus on this instead. Everything needs to be suited to your brand, your customer, and the medium you’re communicating through. Direct mail and website copy might need to be more formal, but social media accounts could be less formal. Use whatever fits and feels appropriate. A logo or tagline is not a brand. A voice isn’t either. If you’ve read a few of our articles on here, you might have picked up on a pattern in what we generally say: don’t just focus on one thing. Good marketing is a mixture. Your voice might be important, but just like a logo or tagline, it isn’t a brand within itself. It’s a vital part of any cohesive brand, but it isn’t going to make any difference on its own. What’s the first thing you think of when someone says “Bunnings”? I’ll take a guess. It’s either friendly folk in green aprons, or it’s “Lowest prices are just the beginning…”. Bunnings manages to get both of its main points across: friendly staff and lowest prices. Bunnings has some effective branding going for it. And a large part of this is the way it speaks to consumers. 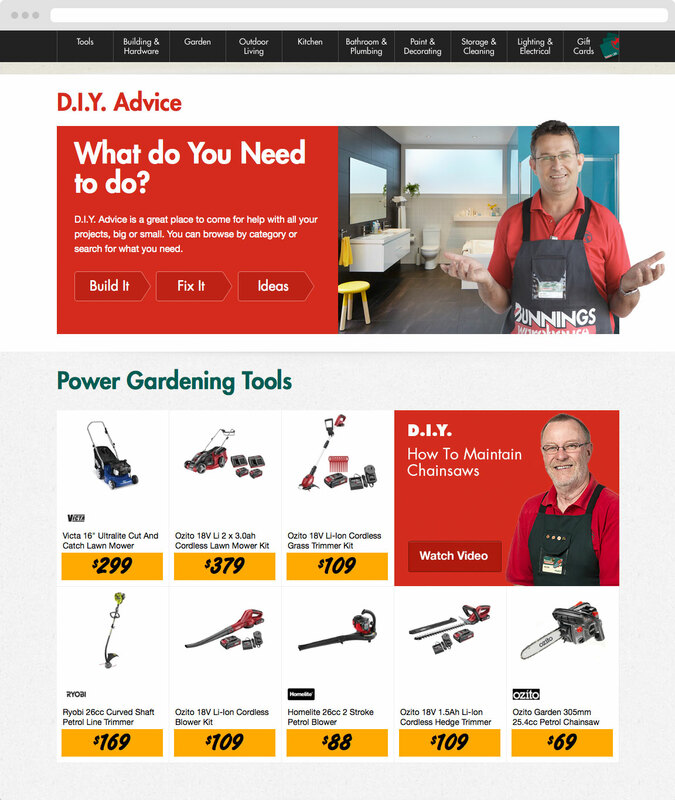 Everything about Bunnings’ website communicates its appeal to the weekend DIY crowd. It knows that most people just want quick advice, and it knows they don’t want to spend an arm and a leg. 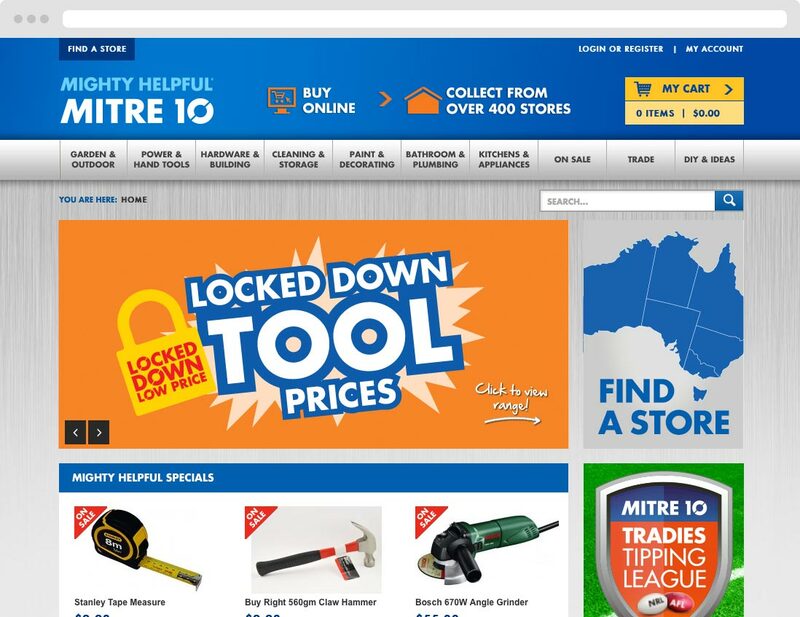 On the other hand, Mitre 10 just doesn’t have as strong a message. It doesn’t quite have the same advertising budget as Bunnings, but it’d surely be able to afford almost any agency in the world to develop its brand voice and language. Apparently they’re “Mighty helpful”, but where’s the help? 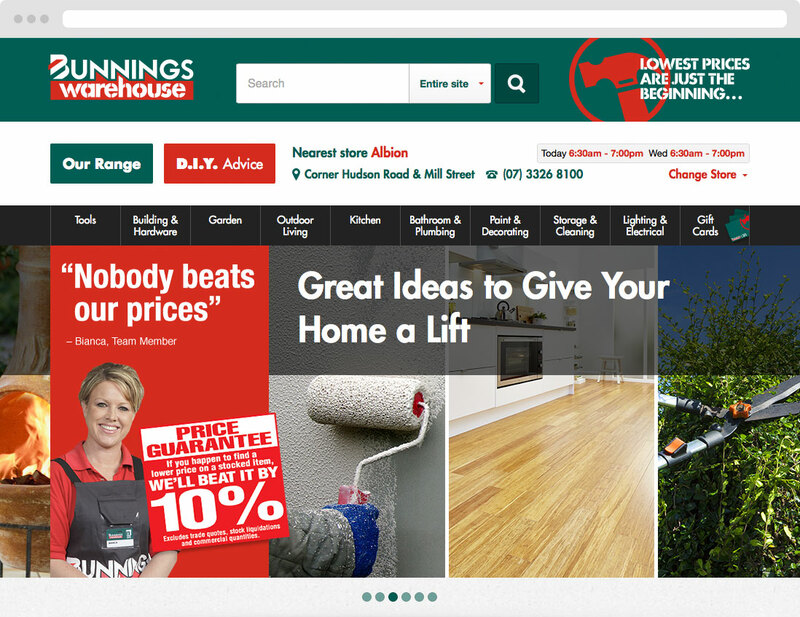 This is admittedly a very unscientific test as we’re only looking at website homepages, but the point is that Bunnings has a clear brand language and voice that it’s using, while Mitre 10 doesn’t. A clear voice will keep reinforcing a message. Bunnings is here to help! Everywhere you look, there’s consistent visual language (colours, people in aprons, fonts, and so on), and the voice is upfront, simple and self-explanatory. Just as you’d expect. The design complements the company’s sales and marketing goals, and the content and language perfectly round it all out. Here’s how we developed our own voice here at Sketch Corp. We’re not quite as big as Bunnings, but the same principles apply. When we first started out, we had a clear mission and vision for the company: to provide results-driven marketing and top-tier design in one package. Going by the three steps above, we had a plan. We knew who we wanted to work with: companies that had grown to the point that they needed robust and ongoing marketing and design, but maybe didn’t have the in-house capabilities for it. We summed up our difference as being more than just a design studio. We had the tagline “Be Recognised”, which communicated how we could help businesses get noticed. Another part of our uniqueness was our collaborative approach and retainer packages, which gave clients the freedom to choose how they used us. Being a B2B agency with many professional services and corporate clients, we knew we’d need appropriate documents and language. Research showed us that most of our clients and target market were knowledgeable, time-poor, and interested in our design capabilities. Our content and voice therefore had to be informative, well designed, and easy to skim-read. We concluded that we’d need a company profile, a website with portfolio and case studies, a blog, social media, and so on. This was our initial plan, but just like any other company and voice, ours is still evolving. As our clients change, as times change, and as our goals change, we’ll keep tweaking and modifying our voice until it fits perfectly. Then we’ll measure again and start all over. 1. Without a voice, your brand is just a logo. 3. You need to use the appropriate channels and media. Telcos don’t seal deals using Twitter, and cafes don’t publish annual reports. 4. Keep updating your voice as your business and market change. If you think your business’ voice needs a bit of a spruce up, get in touch with the Sketch team and we’ll be glad to help get it where it needs to be.